As the cream of international and local fashion experts flocked to Sydney to experience yet another fashion extravaganza of lavish runway shows during Mercedes-Benz Fashion Week Australia (MBFWA), just how did our prolific designers meet the task of showcasing to the world, the best of our homegrown talent and top labels. There were some 40 runway shows in 4 ½ days of MBFWA with each show costing between $50-$100,000. Australian designers who could afford these costs had the platform opportunity to present a brand vision and push home their wares building crucial sales and connections to impress the strong contingent of international press and buyers who regularly come here to scout for fresh talent and new ideas. 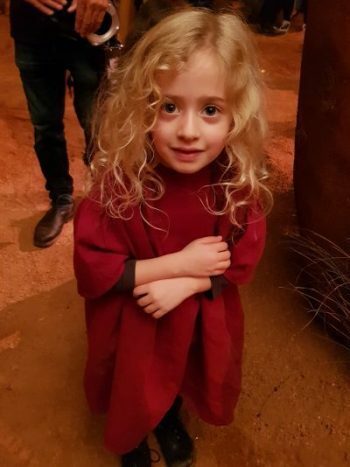 A beautiful young girl, already a fashionista at such a tender age. All pics by Denver Mottau. Since the move in 2016 to shift Fashion Week from spring-summer to an inter-season global resort schedule, there has been an increase in international buyers and media attending this event. If designers succeed in making a good enough connection with the buyers, orders should naturally follow within a couple of months. There is a lot of commercial appeal in young brands, but somehow lacking the signature quality that clinches a sale. Understanding the market is crucial and it becomes a learning process for many. 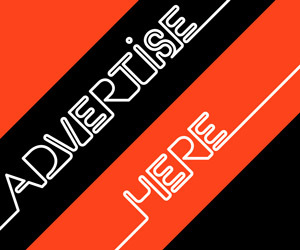 What extent do designers go to make that impression to woo the buyers, and does it make a difference? High profile locations and settings can influence, so can the aesthetics, the right vibes, the uniqueness and design credibility of the brand, all of these can weigh-in towards understanding what drives the ultimate market decision. Many a designer went to great pains and expense to impress during Fashion Week, and they did this with some level of success. The positives that come out of each show and the standout collections that had a bearing on the scope of the market, will in no uncertain terms assure the global success of the brand. There is a lot of homegrown talent yet to be recognised. The exposure internationally through MBFWA will no doubt provide the ideal platform to do this for young labels. Etihad Airlines launched a runway program last year to assist Australian brands gain a foothold into the wealthy Middle East market. 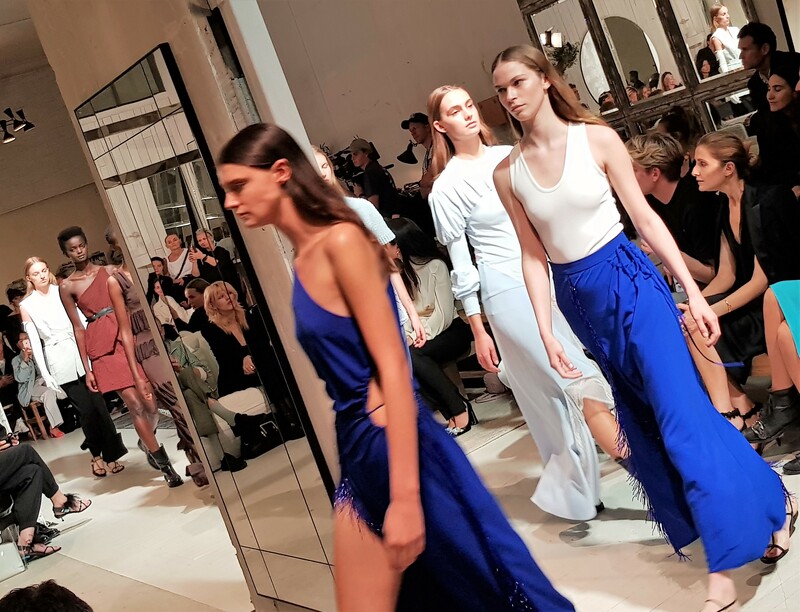 Through its inflight network, the airline has established contacts with the Australian fashion industry including designers, photographers, manufacturers, retailers, models and stylists to help reach this lucrative and well-informed consumer. Australian label ‘Romance was Born’ have pushed up their sales over the years working with some of the larger department stores to do this. Fashion Week actually succeeds in bringing out what we have in talent, whether it be classed as alternative, or part of the runway shows. The hottest looks were often seen outside Carriageworks where a host of fashionistas dress up and flaunt their mix and match styles. The style set draw attention to their eye-catching colours, top brand handbags and sunglasses as well as their quirky street styles. The stylists, models, bloggers and fashion media swapped high fashion for casual looks (sneakers, tracksuits and beanies) with the trend moving towards comfort dressing to suit body shape. Layering has now become an art, styled with feminine tailoring and printed dresses. One of the interesting elements of each collection show other than seeing what the designer has produced, is taking note of the A listers, celebs and stylish guests who show up at different shows, presenting an image of themselves through what they wear. The styles range from simple, to extravagant, bold to revealing. A mix of day and night looks that have the cameras clicking to capture the detail whether it be shoes, bags, earrings, hats, scarves or dresses. What is revealed becomes a fashion statement in the press with particular high-profile brands securing that extra publicity. Fashion is definitely a revival of our times Mostly magical in the way it is presented, like a fairy tale with a romantic narration. Designers become superstars at each show, illustrating the theme of the exercise with flair – the locations/sets generating an unusual ethnic perspective. 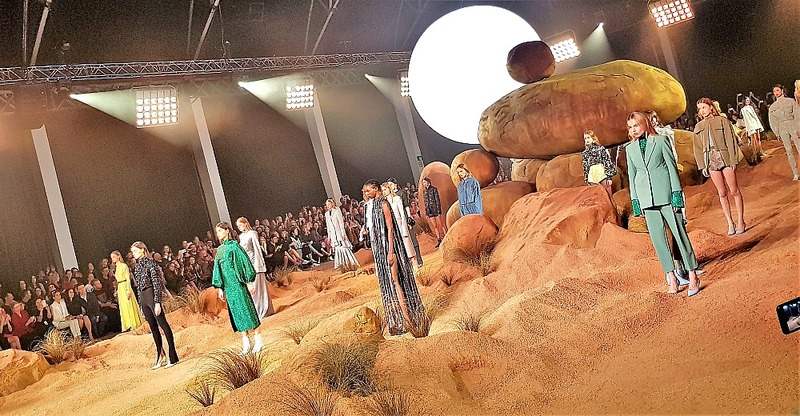 Camilla and Marc opened MBFWA with an appealing runway show taking us to an epic other-worldly setting resembling a desert landscape. The brother and sister duo celebrated 15 years in the business and presented their resort wear collection for 2019 with attractive models prancing through the moonscape surroundings, their earthly must-haves in tow. The show attracted the cream of celebs, buyers and media. Experienced Fashion designer Akira Isogawa took us back to the 80’s with his classic new collection of beautifully crafted vintage prints for men and women in a mix of layered romantic styles. 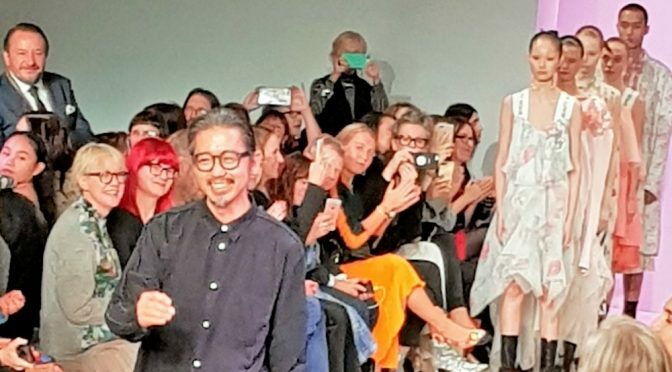 His new fashion range was very well received by the audience at Carriageworks who applauded the humble Japanese designer now celebrating his retail milestone of 25 years. The Powerhouse Museum in Sydney plans to host a retrospective of his work in December and publish a book about his achievements. Akira won Australia’s very first Fashion Laureate in 2007 and even appeared in an Australia Post Legends series stamp in 2005. The designer has been accredited with much praise internationally for his talent and originality, as well as his integrity. Christopher Esber’s vision of ancient Greek and Roman sculptures, and his appreciation of the female form were brought to life at his show with a collection of feminine frocks and evening wear crafted in lace, linen and silk. An experienced designer, Esber will shortly move his line into export with Hong Kong retailer Lane Crawford. Chatting with the former head of the TAFE’s Fashion Design Studio, fashion veteran Nicholas Huxley who has mentored many a successful Australian designer including Akira and Christopher Esber, Huxley commented on Australia’s emerging designers and fashion labels, first-timers in particular who are easily influenced by others and just follow the crowd appealing to the masses. “This is commercialism at the expense of creativity” he said. Huxley was however most impressed with Albus Lumen and Lee Mathews for their unique signature designs, creativity and wearability. “The buyers are definitely on track with these designers” he said. The Powerhouse Museum is hosting an exhibition exploring the history of men’s fashion spanning 300 years featuring garments by Alexander McQueen, Burberry, Calvin Klein, Gucci, Jean Paul Gaultier and Yves Saint Laurent. Fashion in Menswear 1715-2015, is an exhibition of men’s couture from across the globe. It runs until 14 October at 500 Harris Street, Ultimo.